Judy Asks: Will an EU Special Representative for Human Rights Make a Difference? Every week leading experts answer a new question from Judy Dempsey on the international challenges shaping Europe’s role in the world. It should make a difference but probably will not. The European Union is widely criticized for double standards, such as criticizing Myanmar but ignoring Saudi Arabia, and barely raising a protest about the treatment of the Roma within the EU. If one looks at the various human rights dialogues with Russia, China, etc, one cannot conclude that they have made much difference. If one adds in the depressing reality that human rights tend to be moved even further down the agenda in times of economic crisis, then the new Special Representative is going to have a very difficult time indeed. This is not to say that such an appointment is a bad move. As Heidi Hautala, the former chair of the European Parliament’s Subcommittee on Human Rights always said, “if the EU does not stand up for human rights, then who will?” But to be a convincing actor in this field, the EU should ensure that it points the finger at problem areas in member states and at allies such as the United States for Guantanamo, rendition and drone attacks. Double standards in human rights result in no standards. No. The problem, however, is not so much that human rights have to be enforced (which, unfortunately, is also true) but rather that contemporary human rights discourse is incoherent and risks collapsing under its own weight. The Universal Declaration of Human Rights already contained an astonishing list of enumerated rights, including the right to "food, clothing, housing and medical care and necessary social services, and the right to security in the event of unemployment, sickness, disability, widowhood, old age or other lack of livelihood in circumstances beyond his control" (UNHCR, 1948: Article 25). The effectiveness of such formulations in producing the desired effects hinges of course on the degree to which they succeed in imposing duties on third parties. For if my right to food, clothing, or housing has any meaning, somebody must have an obligation to provide me with the designated goods in the event that I "claim" my rights. But who is obliged to provide me with these desiderata and to what degree? And how can we resolve conflicting rights claims? Even if every claim were legitimate, given pervasive scarcity of resources, we will never be able to guarantee everyone their “rights” so conceived. Appointing a specific European Union envoy on human rights could make a significant difference. The EU has a significant role to play as a human rights actor, not just externally in the wider world, but also in terms of addressing human rights violations taking place within its borders. The deportation of Roma migrants from a number of Western European member states in 2010, as well as Hungary's recent constitutional restrictions on media and judicial independence, are but two examples of the need for an effective transnational supervisor of human rights violations above and beyond national governments. These violations can only be tackled, however, if an EU envoy is given the necessary powers. Existing EU human rights bodies—such as the European Union Agency for Fundamental Rights—have struggled to live up to expectations precisely because they have been given a highly limited mandate, able to provide “information” but not to critically and independently assess the conformity of national and EU institutions with human rights standards. The new special representative's ability to make a difference will depend on going further: this representative should not just be an external voice for human rights but should be given internal powers too, for example the ability to scrutinize legislation or even recommend legal measures against states who persistently act in violation of the EU Charter. To be a credible “external” actor, the EU must also be credible in terms of its own human rights commitments. A human rights representative is just a part of the package that the European Union is undertaking on promoting human rights. Such a nomination shouldn’t cloud the difficult task of achieving coherence and integration of human rights in a range of the EU’s policies ranging from trade to aid and internet regulation. That is a challenge that Ashton also noted in her article on human rights this week. Equally difficult, and which Ashton can’t mention due to diplomatic tact, is that the EU’s presence on human rights is also made up of the member states. Thus, during the Arab Spring it was rightly seen as hypocritical when European leaders were caught red-handed in their cozy relationships with autocratic rulers in the region: the then French Foreign Minister offered Tunisian President Zine El Abidine Ben Ali French police know-how on riot control; Italian Prime Minister Silvio Berlusconi made initial statements supportive of Libyan leader Muammar Gaddafi; and British Prime Minister David Cameron gave a speech on democracy in the Kuwaiti parliament accompanied by a business delegation that included arms dealers. This is also evident with China where some member states pursue the EU’s joint priorities at the bilateral level and others let such values fly in the wind when there are business deals to be struck. Thus, the EU also needs coherence at member state level. So when Ashton recently got foreign ministers to reinstate the importance of human rights in EU policy, it shouldn’t be a commitment that only gets signed in Brussels but also an exhortation to follow up nationally. Such an approach is also backed up by the new human rights framework launched by Ashton, which affirms that “Promoting and speaking out on human rights and democracy is a joint responsibility of the EU and its Member States.” That will also give the necessary credibility for an EUSR to make a difference instead of being a cover-up front. Finally, an EUSR should move beyond the confines of the rostrum of the United Nations and engage with the new expressions of people’s power which the Arab Spring was such a forceful manifestation of. Yes, if Europe is prepared to back words with some real pressure. No, if it is just another way of distributing some pork. Europe wants to be a beacon of democracy, yet often European Union leaders lack the backbone to intervene, see the Balkans in the early 1990s. Libya and the so called Arab Spring was a better performance, but the Union still lacks a comprehensive human right philosophy. A single leader would focus attention and give the issue more standing in the social conversation. To ensure that the new European Union Special Representative for Human Rights (EUSR) is not merely a symbol will depend on the person chosen and the mandate granted to them. The mandate must be broad and ambitious. S/he must have capacity to act across institutions and policy spheres. This will be necessary to build consistency throughout all the areas of EU competence, from trade, to justice, to external affairs. The EUSR must be outspoken about abuses of human rights in the world and also within the Union. The person must have sufficient standing to bring visibility to the issue on the international stage. S/he must have experience of working with other member states. 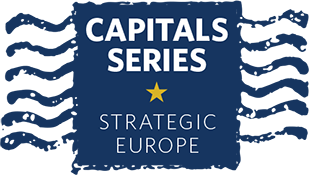 It is national capitals that most often undermine EU stances on human rights. Therefore, forging relationships with member states and ensuring their investment in human rights strategies will be crucial. Currently, the mandate is being negotiated and the interviews for the role are being held. The onus is now on Baroness Ashton, first to choose the right person and then to grant them a mandate concomitant with our ambition to place human rights at the forefront of the EU agenda.